This week, Whisker Graphics is collaborating with Stampendous! for a blog hop featuring products from both companies. Today and Wednesday, I'm sharing a couple of projects. 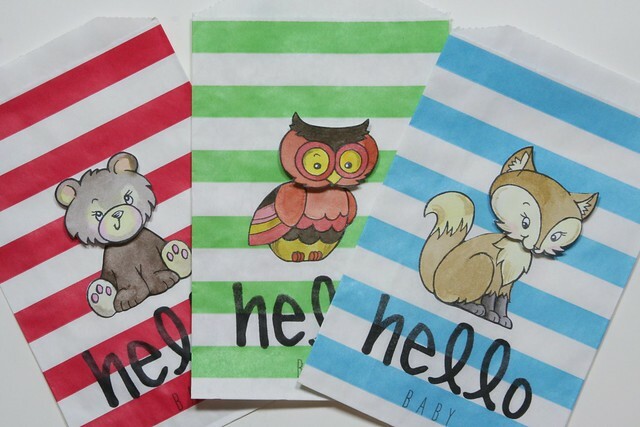 For today's project, I used the CRS5087 Cling Woodland Friends Rubber Stamp Set, the DCS5087 Woodland Die Set, Whisker Graphics horizontal stripe Middy Bitty Bags, as well as some watercolors, to make a set of baby-themed bags, which I'll use as card envelopes. As part of the blog hop this week, there will be prize packages with Whisker Graphics and Stampendous! products. See today's Stampendous! blog post for details! I hadn't seen this set before. These bags are ADORABLE! So many ways you can use a bag for baby events and we love the envelope idea! Fantastic project, thank you for sharing in our hop this week! CUTE!!! I love these! My daughter is always wanting baby cards, etc. Thanks for this sweet idea! Love all the pretty colors of the striped bags. They look great with the adorable critters!!! 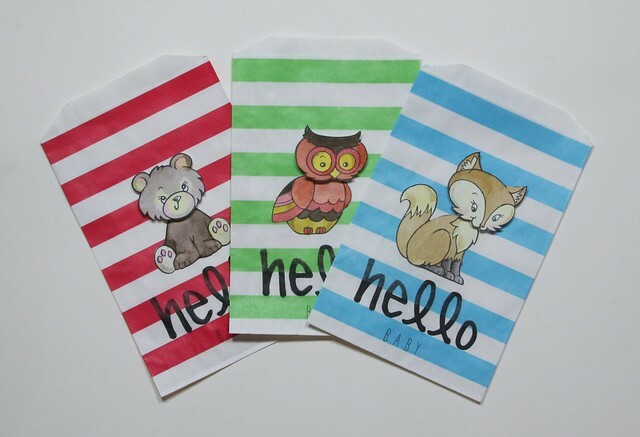 SUPER CUTE gift bags that will make wonderful envelopes!!! LOVE your critters with their POPPED heads, LOVE the CHEERY colours too!!! These are so cute! 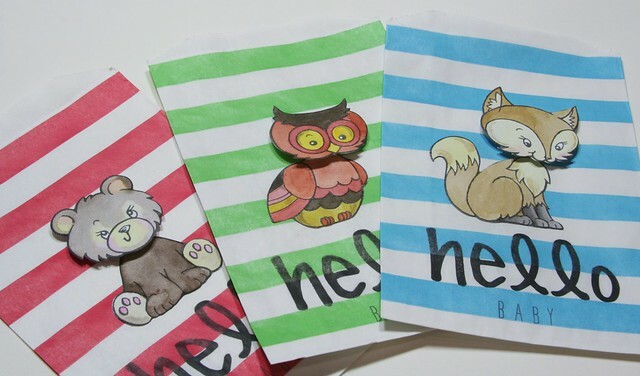 Love the coloring of those adorable critters and the fun gift bags!